So this was funny today at Harris Teeter. I'm checking out on the express line with a few things. 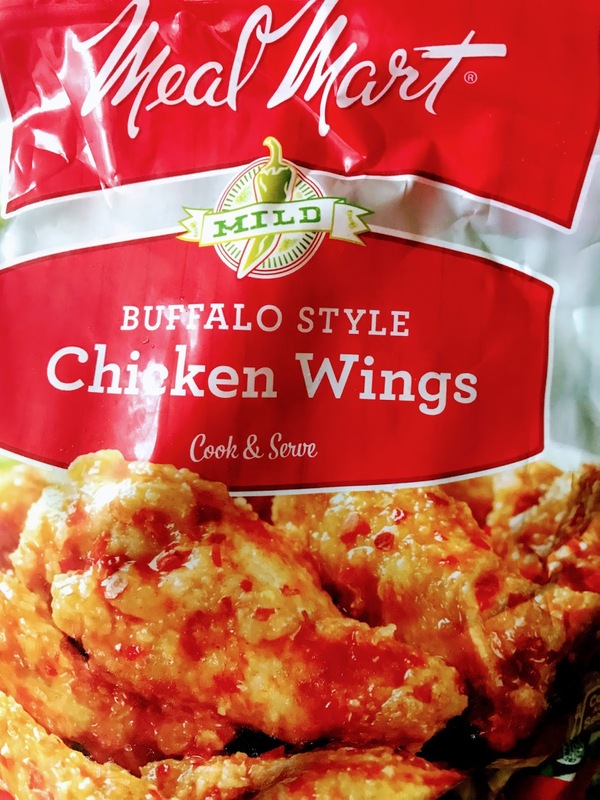 Then some Meal Mart Buffalo Style Chicken Wings. Have you tried that? Is it good? It looks good! Yes, they are really good. At the same time I was feeing smart-alecy, like what the heck, should I open the package on the conveyer belt and let you taste one--right here, right now. But even when one simply goes to the grocery store--there is the very basic privacy about what one is buying. What is he buying? Is it marked Kosher? (Uh, actually it is!] That doesn't seem like a balanced diet! Oh, are you having a party? What's the occasion? While I appreciate the good-natured banter and people being friendly, it seems more than weird in a way to be discussing what I'm buying, why, and for whom.